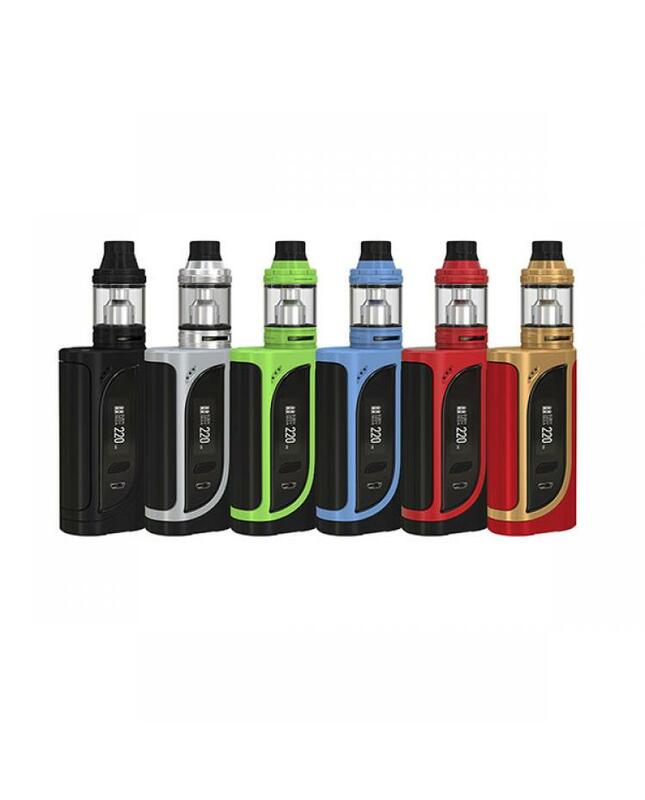 Newest eleaf vape e cig kit ikonn 220w includes ikonn 220 TC box mod and ello sub ohm tank, six fashionable colors available. 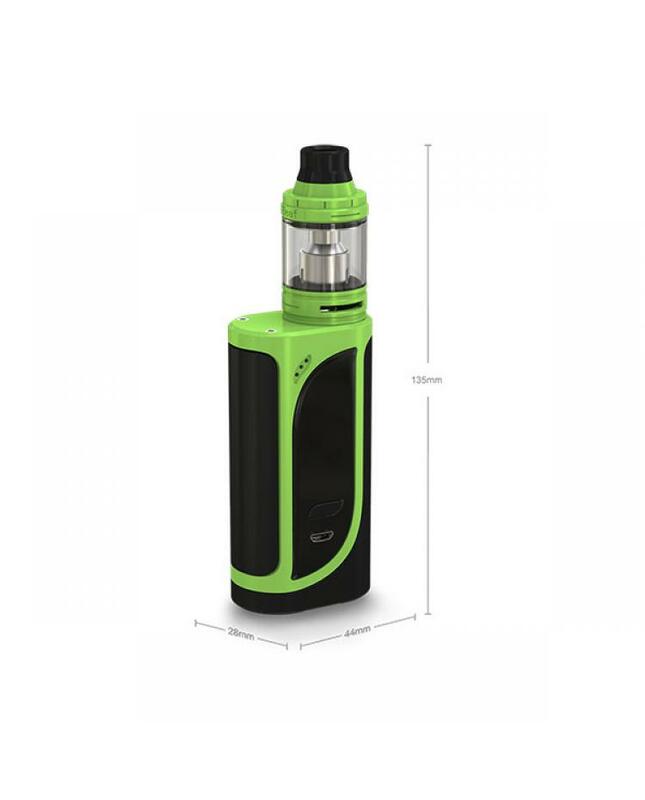 the ikonn 220w box mod powered by 2pcs 18650 batteries, max output 220watts, support resistance as low as 0.05ohm, VW and TC output mode switchable, supports NI, TI, SS, and TCR vape wires. built-in 0.91inch large OLED screen, shows the basic vaping data to vapers, the battery balancing trickle charge system and 2A quick charge capability will change your batteries quickly. the RC adapter will convert your eleaf mod to one power bank. the ello tank can hold max 4ml e juice, convenient top refill, and bottom airflow control designs come with newest HW3 and HW4 sub ohm coil heads, will produce the massive cloud of vape and flavor. the eleaf ello tank provides two drip tips, one with a tapered elegant shape and other with the wider bore for more airflow and flavorful taste.